This edition of our newsletter is dedicated to addressing Employee Engagement using a Three Phase St rategic approach . All three (3) strategies are included in this month's newsletter. There's Trouble when Engagement is Lost! 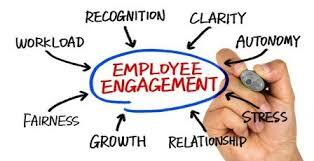 It would be unrealistic to expect 100% engagement in any workforce, or even 100% engagement from any individual employee. There will always be conflicting priorities that your employee experiences including family, health, education, community, and income opportunities. Organizations compete with these realities daily, and sometimes ignore the fact that forcing an employee to ignore other priorities in life often is experienced negatively by the employee. A realistic goal is to ensure all points of engagement that are appropriate are done in an effective manner so that the exchange is mutually beneficial to the employee and the business. Once an employee loses that desire to go to work each day, you are fighting a losing battle if behaviors of the supervisors do not change. Countless times we hear how employees are not focused, performance is dropping, communication has disappeared, and the individual has checked out. This is not uncommon, and many of you reading this right now have experienced this very thing in your own lives. What I encourage is you reflect on those past experiences and focus on what you expected from your employer to change how you felt. A company that fails to spend the time and resources on their human capital, their greatest asset which is the workforce, will see engagement slowly but surely disappear. All the promises and commitments in the world will not make the employees engaged, nor will throwing money at them. 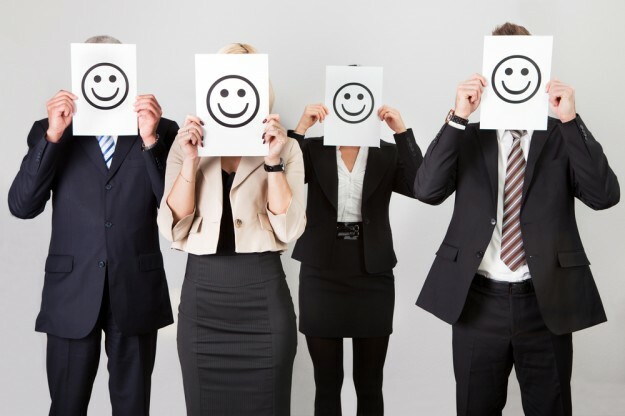 The negativity you might experience in managing a disengaged workforce pales in comparison to what your customers and clients are feeling when they interact with these employees. Your business can experience significant setbacks and loss of revenue if engagement isn’t handled effectively. ﻿I urge you to take this month’s articles on engagement to heart. Take from them the nuggets of gold that will help you improve your strategies and tactics in your organization to produce a more productive workforce and an engaging culture in which your employees enjoy coming to work every day. As more reports of sexual misconduct are revealed the male population in the workforce are searching for effective strategies to ward off allegations of inappropriate behavior and misconduct. The Pence Rule is one example of this, in which men will state they cannot be alone with a female other than their spouse. 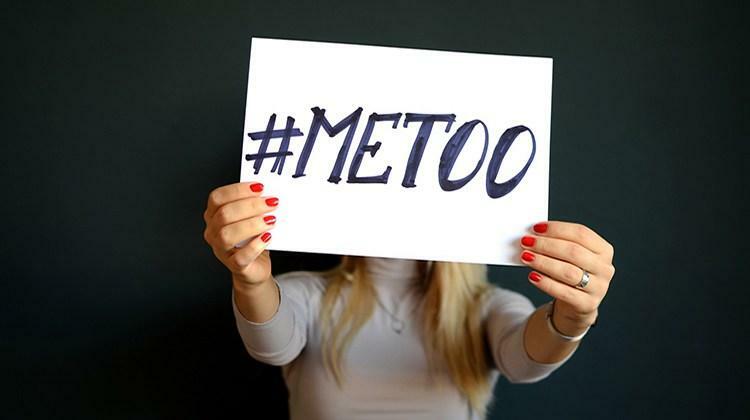 As women work diligently to remove barriers to equality, the workplace is presently fearful of the repercussions of not only actual misconduct, but even the negative affects of a sexual misconduct allegation. A business and its reputation can be destroyed in minutes when an allegation against an executive or leader hits the media. 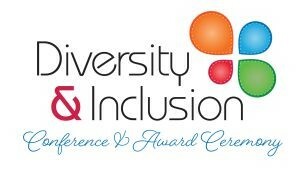 What organizations need is a strategic and inclusive approach to breaking down barriers and bridging the gaps through programs and practices that establish a culture of principles and behaviors that mitigate these risks and promote the advancement of equality in the workplace. We can help you with these programs and would like to speak with you today about developing your strategy to accomplish equality in your workplace. Contact Jennifer Cook, Director of Operations, by calling 888-343-7340 or by email at jennifer@symbiancehr.net . PsyMetrics & SymbianceHR have partnered to provide you the guidance and advice you need to identify, select, and implement validated assessment tools to achieve a variety of workforce management, talent acquisition, and succession planning challenges. To learn more about our assessments and services to support implementation please call us today at 888.343.7340 and ask for Warren or email directly at warren@symbiancehr.net . Engagement and morale are on the decline and as a leader you are wondering what is wrong with your employees. You may even decide to embark on an engagement survey so that you can learn what is wrong with the workforce. Let me stop you right there and remind you that culture and morale start with the leaders of the organization and the behaviors and actions demonstrated by these leaders. Throughout your time as a business owner or organizational leader pause periodically and look in the mirror to ensure you are doing all you can before looking somewhere else for the root cause of the problem. 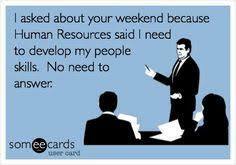 With that said, you want to make sure you have adequate training for your people leaders. They should be armed with clearly defined roles, authority, and empowerment to be successful in leading and managing the people on their staff. If you are doing everything you can to provide your p eople leaders with the tools, resources, and support for success and engagement is slipping, there may be a gap in the intended outcomes of your efforts and the impact on the workforce, and that is where the engagement survey can help you. Understand what to expect in the engagement survey, as it can be a tool some employees use to just complain, or they say nothing but nice things because they fear you will find out who said what. Historically in my experience, you can expect four areas of negative feedback, regardless of your efforts to satisfy workforce needs in these areas. These four areas are: (1) Compensation; (2) Communication; (3) Benefits; and (4) Career Growth . As you begin the data collection process you should fully anticipate dissatisfaction in these areas and prepare yourself for an appropriate reaction regardless of the time and financial resources expended in making your company the best place to work. The last realistic expectation I want you to develop is the result of your engagement survey. Do not expect any change, improvement, or support in fixing the challenges identified if you do not plan to take any action based on the information you receive to address areas of concern. Finally, if you conduct a survey, fail to communicate the results, and fail to demonstrate any action related to the data collected, you can forget participation and honest feedback in any future surveys you promulgate to the workforce. In developing your engagement survey questions, avoid asking if they like or don’t like something. Your infrastructure, employment practices, and operational activities exist for a business purpose. There is an employee lifecycle from initial contact through to separation that should be examined, and the degree to which employees agree or disagree that what you have established is working as effectively as intended. The design of the survey should specifically align with the processes and practices of the organization that impact the employee directly. It is easy to ask the wrong question and then not have the data necessary to take action, such as “Do you and your supervisor communicate regularly?” This fails to address the real issue, and instead the statement should be, using the scale mentioned above, “My supervisor scheduled regular performance meetings with me and the communication exchange is consistently effective and productive in supporting my success.” Note the significant differences in the statement. The latter one describes the behaviors and practices the organization desires from their supervisors and employees. Therefore, feedback on how well this is being executed is far more valuable than asking the former question. Do not make the survey too long or cumbersome, and touch on enough topics across the span of the employee life cycle and the business culture to obtain a comprehensive data set of the current state of the organization. Employers, especially small business owners, who are unclear if they have been executing their compensation practices legally, should review this new pilot program launched by the U.S. Department of Labor (DOL). While most small business owners hope any problems just disappear, are never uncovered, or the employee’s never sue them over it, the reality is once unlawful practices are uncovered through an employee claim with the DOL you will be on the hook (if a violation is confirmed) for not only back wages, but also liquidated damages and civil monetary penalties which are often equal to the amount of the back wages. U sing this proactive, self-driven program you are demonstrating your desire to comply with the Wage and Hour laws, and you conduct a self-audit, report the findings to the DOL, and then pay appropriate back wages with a commitment to correct your compensation practices gong forward. While either path will cost you money, it is the right thing to do and working with the DOL will save you money compared to working against the DOL. If you are uncertain if your compensation practices are legal, you should contact us immediately to discuss a strategy to review. Please visit the PAID webpage at www.dol.gov/whd/paid . Phase II – The Communication Strategy: Yes, you need to have one! When employees do not understand what the employer is doing, there will be a disconnect and lack of engagement and support for the initiative. Prior to the launch of any engagement survey leadership should disseminate a communication that outlines the initiative. The communication should include background information tied into the mission, vision, and goals of the company. Next, the communication should highlight transparency in the initiative, explaining clearly how the survey will be distributed, how data will be collected and summarized, how employee anonymity will be protected, and how the data will be shared with the workforce. This communication needs to outline the goal of the data collection, and outline what the employer plans to do with the data once it is analyzed. In other words, clearly define how the data will be examined to create a strategic plan to address areas identified as concerns. If you plan to be inclusive in addressing these concerns with members of the workforce, share that valuable information, such as focus groups or a project team to identify solutions. ﻿Include a timeline and set realistic expectations on when the employee can expect to hear progress updates and status on execution and results of action plans. Failing to embed a strong communication strategy aligned with the engagement initiative can expand the engagement gap with the workforce and diminish any trust or relationship leadership has with the workforce. The DOL Continues to identify Employers who fail to pay overtime!!! HOUSTON, TX – After an investigation by the U.S. Department of Labor’s Wage and Hour Division, a Houston-based pool construction company, South Bay Gunite Inc., will pay $115,786 in back wages to 68 employees to resolve violations of the overtime and recordkeeping provisions of the Fair Labor Standards Act (FLSA). Wage and Hour Division investigators found South Bay Gunite Inc. violated the overtime provision of the FLSA when it paid employees flat salaries per week or flat rates per job completed without regard to the number of hours they had worked. This practice created overtime violations when drivers, mechanics, finishers, and others worked more than 40 hours in a workweek without being paid additional overtime. The company violated recordkeeping requirements by failing to maintain accurate records of the number of hours employees worked each day and each week. The IRS launched a new W-4 form for use immediately in 2018. Be sure to update your documents for all new hires and current employee changes. If you have an HRIS system that performs your onboarding activities, please review to ensure these forms have been updated. If you do not have an onboarding solution today, call us to learn how to select and implement one that meets your business needs. Click here to get the form today. Well designed survey questions and scales will help you quickly and effectively determine which categories or functions of the workplace fall short in meeting the expectations of the workforce. You will need to establish a baseline either by using the first survey conducted at a point in time, or by setting a goal of X% satisfaction. For example, you could determine that any category that falls below 75% agreement requires attention, or you could take the bottom three categories and prioritize them as requiring action. When performing subsequent year surveys, you could prioritize by any category that has decreased by more than X% year over year. Regardless of the approach, you will need to think about your measurements and key indicators in a consistent and fair manner. It is often effective to carve out any categories you already have initiatives in place for and highlight in your communication how this is already being addressed, and what success or failure has been experienced based on the results of the survey. Transparency is key, and quite simply your employees will know when you are misrepresenting things to them because of their internal communication with one another. Therefore, it is important to present actual summarized results from the survey and identify where there is room for improvement. This will enable leadership to develop specific action plans to address areas of concern. No organization must address every issue or concern, and sometimes the issues are enterprise wide such as communication, which improvement in this one area will have wide spread positive impact in other areas. 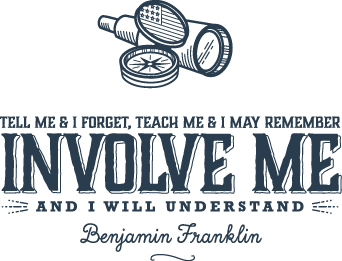 I will share that failing to take any action that is observable or communicated to the workforce will cause the effort of engagement to fail. I recommend developing and communicating a clear strategy and timeline on how the business is going to address whatever categories were identified as needing significant improvement or change intervention. It is also important to communicate what you are not going to work on and why, so there is no confusion, guessing, or assumptions made. This is critical, as you need to demonstrate effective prioritization of the challenges to support the ongoing success of the business. This means aligning the initiatives to improve the overall capabilities of the business in the delivery of their products or services to generate revenue. ﻿When all these Strategic Phases are done effectively, engagement and trust improve and real solutions that impact the success of the business are identified and implemented.